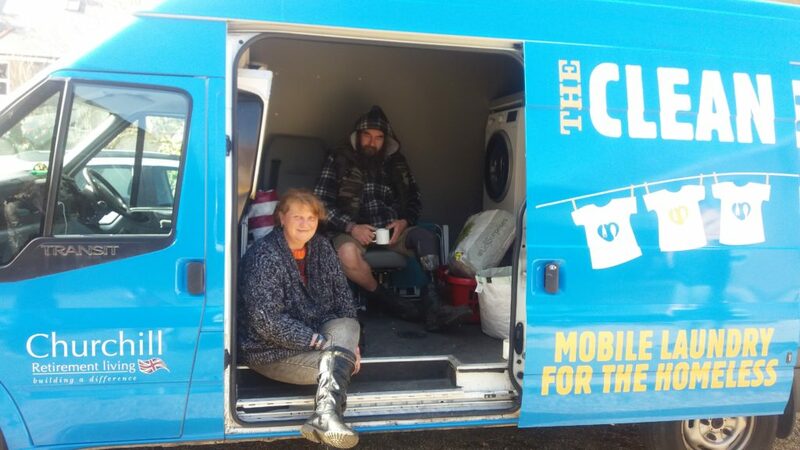 The Clean Machine, a mobile laundry service based In Bournemouth, visited our Wednesday afternoon drop-in during March to allow the guys to get their clothing and sleeping bags washed and dried. 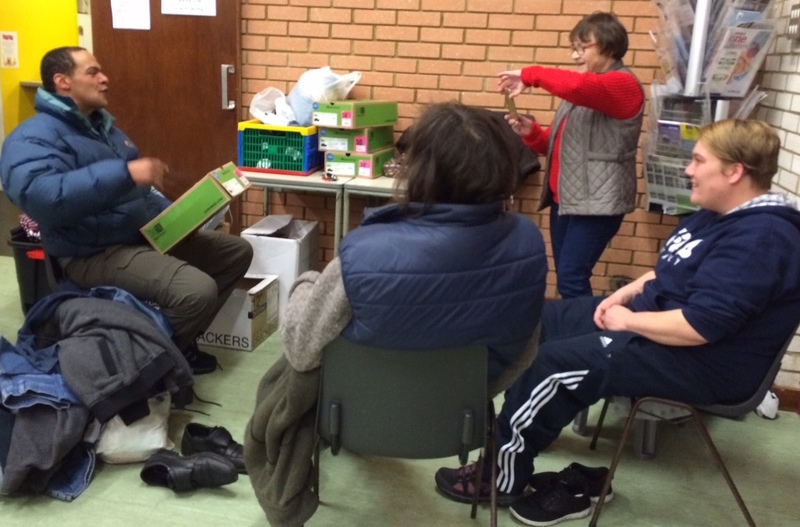 On the last Friday evening of 2017 Jenny Donovan, our long-term volunteer chiropodist, arrived at the drop-in and sat herself in a quiet corner to wash and tend to feet and fit new shoes. Jenny, a self-employed Chiropodist, has since 2009 been treating R2R clients at our evening drop-ins on the last Friday in every month. Sore feet are inevitable in our clients’ way of life and treatment a luxury that none could ever contemplate before Jenny joined our team of volunteers. Most have very damp or wet feet because their shoes are on all the time, and often they walk all day. In 2017 Jenny started to buy shoes herself to ensure that those sleeping rough had something waterproof and suitable for a hard day, and night, on the streets. Thanks to a grant from the Haddon Trust, R2R is now able to support Jenny financially with her purchases. Routes to Roots’ Trustees, volunteers and clients were delighted to welcome the Ven. 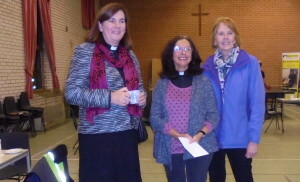 Karen Gorham, Bishop Designate of Sherborne, at their drop-in on Thursday. Karen came to Poole specifically to meet them on the very day her appointment was announced by Number 10. This was a tremendous honour. At the drop-in, among others, she met Steve, who spent five years sleeping on the streets before being helped into living independently by the charity – he has now lived in his own home for three years. She also met Eddie and Susan, volunteers who have cooked Christmas lunch for the clients every year for the past eight years. Karen was also taken to Amos House, the charity’s new supported accommodation for three rough sleepers. She blessed the house, which will have its first occupants in a matter of days as final paperwork is completed. Karen’s consecration will take place on 24 February 2016 at Westminster Abbey before she joins the Diocese formally in March.